GNIRS may be removed from the telescope in July for a lens replacement. Investigators with targets at RA 21 to 01 hours should therefore have backup targets available. GMOS-South may not be available between March and April for a CCD upgrade. The amount of time at RA 7h to 11h will therefore be limited, and investigators should indicate in the technical case of their proposal if alternate targets are available. 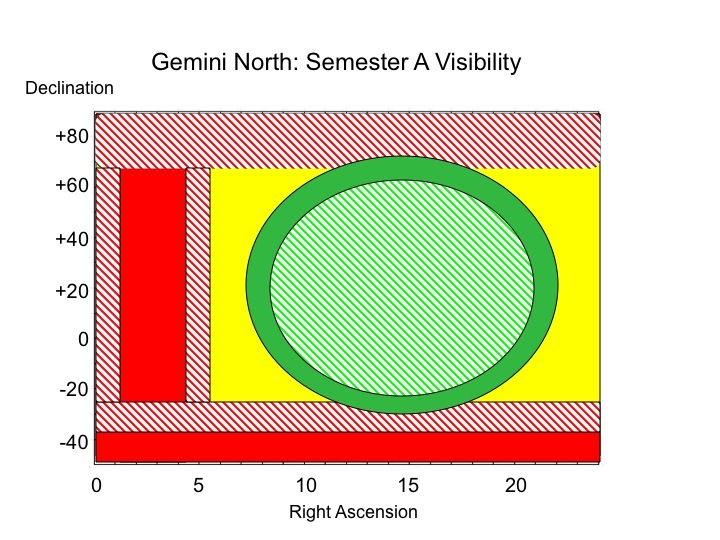 Figure 1: Schematic representation of target accessibility at Gemini North during semester 2014A. Green regions offer unrestricted access, red regions are inaccessible. Hatched areas indicate the more restricted LGS regions. The yellow region is possible, but restricted. See text, and values in the Gemini North Table above. 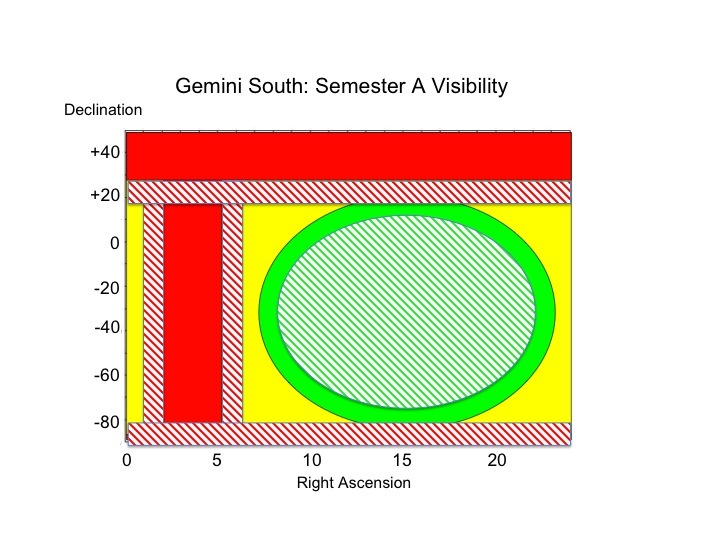 Figure 2: Schematic representation of target accessibility at Gemini South during semester 2013B. Green regions offer unrestricted access, red regions are inaccessible. Hatched areas indicate the more restricted GeMS regions. The yellow region is possible, but restricted. See text, and values in the Gemini South Table above.